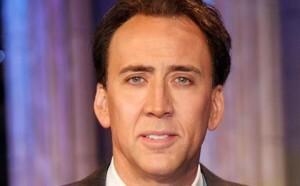 Nicolas Cage has signed on to star in the action thriller A Score To Settle from Beautiful Boy director Shawn Ku. Highland Film Group represents worldwide rights and begins pre-sales at the AFM next week. First Point Entertainment’s Lee Clay and Goldrush Entertainment’s Eric Gozlan will produce, with Highland Film Group’s Arianne Fraser and Delphine Perrier on board as executive producers. A Score To Settle stars Cage as a convicted mob enforcer battling a terminal illness, who is released from prison for a crime he did not commit and sets out on a path of vengeance. John Newman and Christian Swegal wrote the screenplay. Cage stars in the horror thriller Mom And Dad that recently premiered in Toronto and is in post on #211and Looking Glass, which Highland Film Group is also selling. Highland’s sales includes: John Moore’s The Manuscript starring Morgan Freeman; Berlin, I Love Youwith Helen Mirren, Keira Knightley, Jim Sturgess, Mickey Rourke, Diego Luna, Orlando Bloom, Sophie Turner, Jack Huston, Patrick Dempsey, Renee Zellweger, and Jenna Dewan Tatum; and Vaughn Stein’sTerminal starring Margot Robbie. The roster includes Jon Avnet’s Three Christs starring Richard Gere; Eric Bress’ supernatural psychological thriller Ghosts Of War starring Brenton Thwaites; Lin Oeding’s thriller Braven starring Jason Momoa; and Scott Mann’s Final Score with Dave Bautista and Pierce Brosnan.